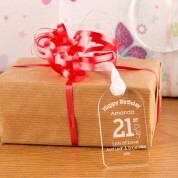 An acrylic birthday tag finishes of a special 21st birthday gift perfectly. 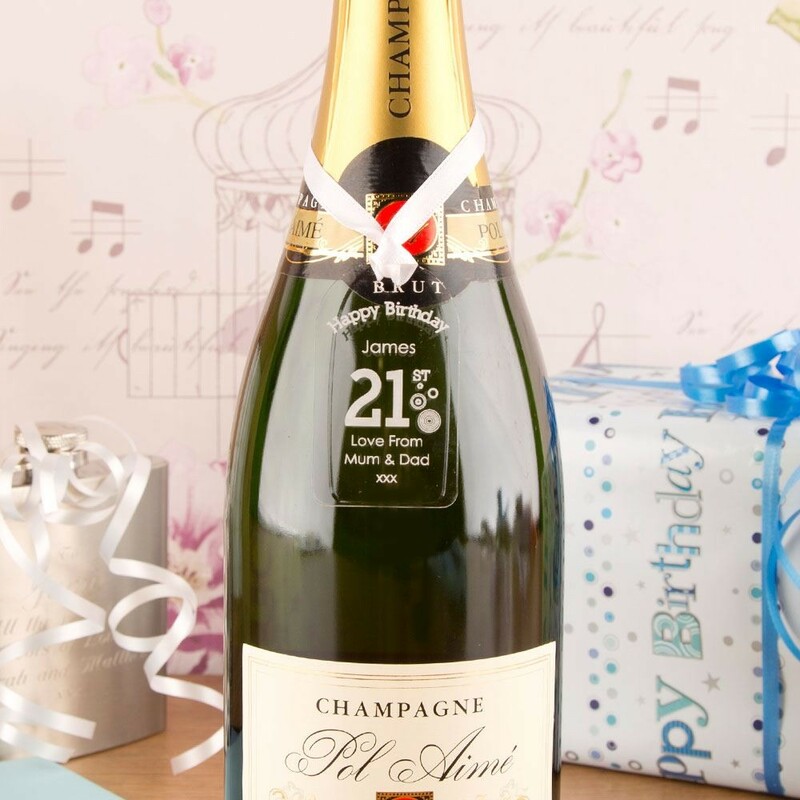 It is ideal for attaching to a parcel, birthday gift bag or displaying around a bottle neck. 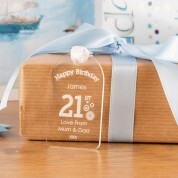 Each tag is laser engraved in house with the recipients name and personal message so it is custom made for each birthday girl or boy. 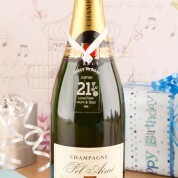 It can also be kept after the occasion has passed. 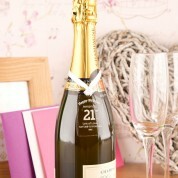 It comes with a loop of white ribbon so is ideal for hanging up on a pin board or on a cupboard door handle.